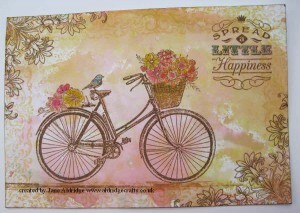 This card project features the Woodware Burst Into Bloom stamp. 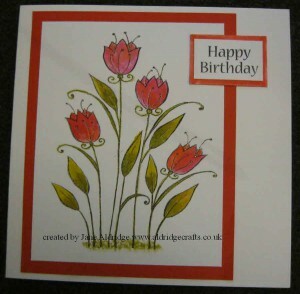 This is a lovely elegant flower design and is nice to create a bold flower card. 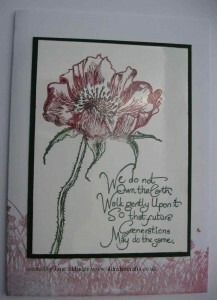 I have stamped using archival black and coloured using the watercolour technique and distress Inks – similar to the bookmark earlier in the week. 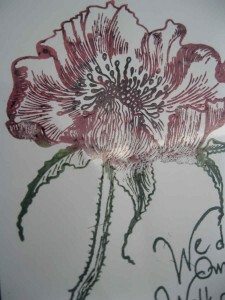 Again I have added a few highlights with Sakura Stardust Clear pen. 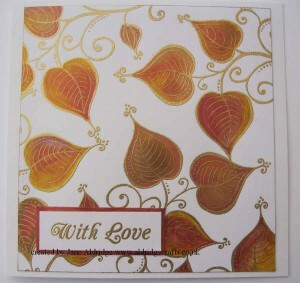 Something nice and Autumnal today. 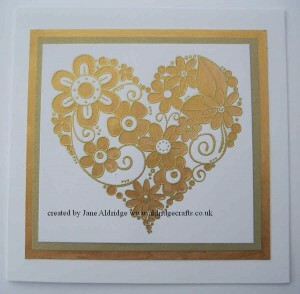 A lovely elegant design today using the Woodware Curly Love stamp. 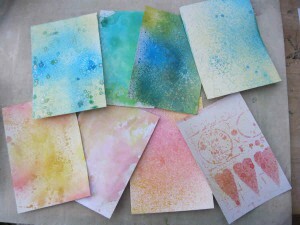 Such a simple technique too. 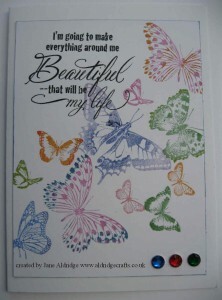 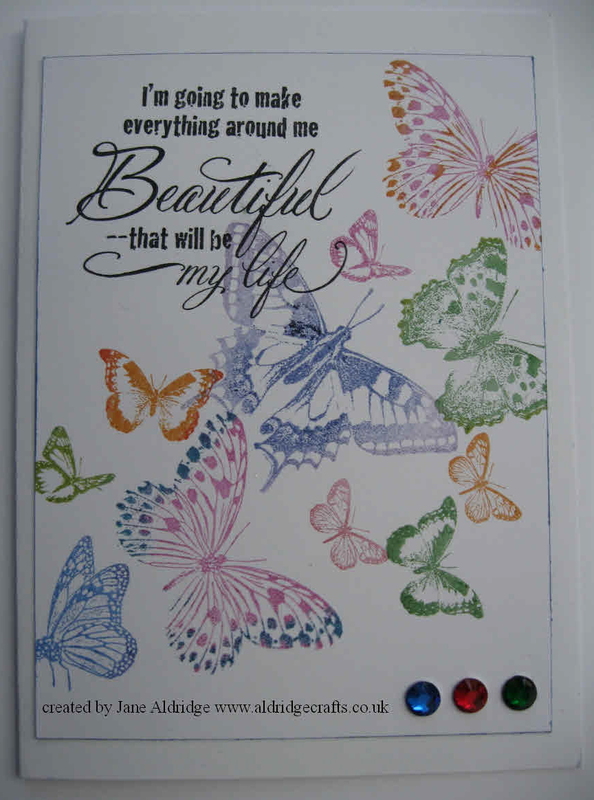 This project is another sample for the colour stamping workshop. This time I am working onto glossy cardstock. 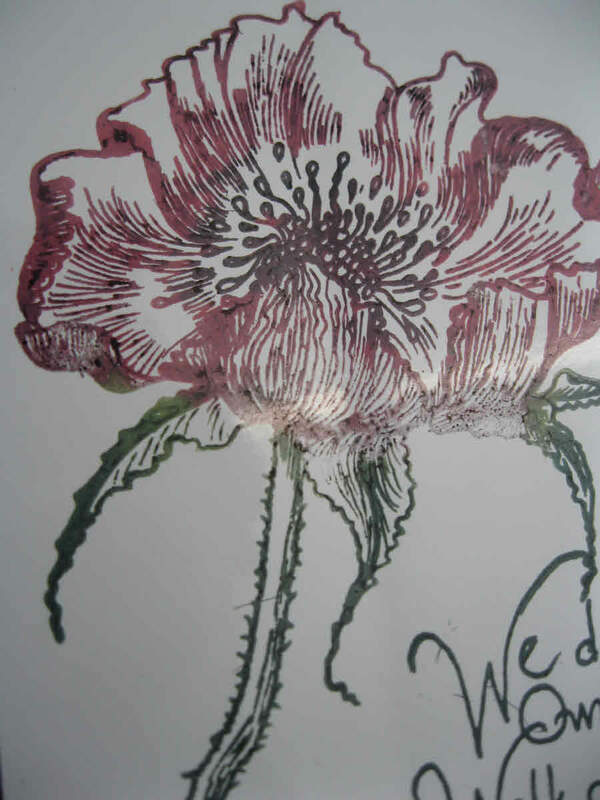 I have inked up the IndigoBlu Poppy Meadow stamp using Memento inks – adding the colour using the points of the inkpads into the different areas of the stamp. 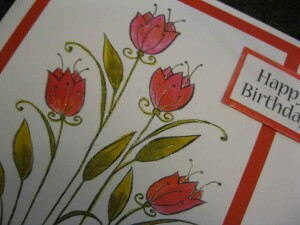 I have stamped the flower border on my cardblank using the same ink – Rhubarb Stalk. 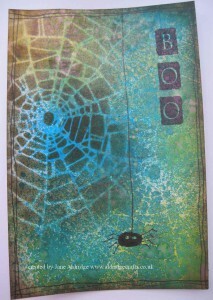 then just a simple green in the same shades of green to finish it off. 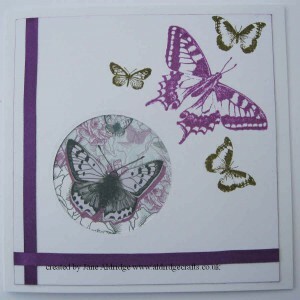 Simple – but effective – and ideal for this time of year too.